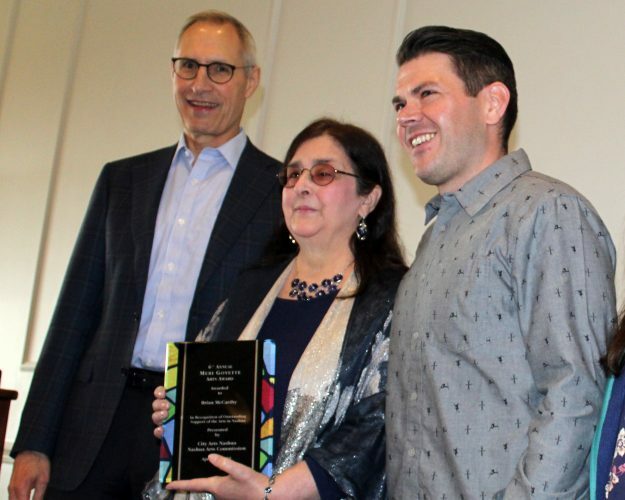 NASHUA – Stacy Topjian Searle will be showing her artwork at the ArtHub as she has been named the May Artist of the Month. Searle is a pen and ink artist who works exclusively in black and white. Her exhibition will open at noon on May 12 and last until 2 p.m. Originally from Lowell, Massachusetts, Searle began her art education by taking workshops at the Massachusetts College of Art in Boston. She later earned a bachelor’s in art from the University of Lowell, where her focus was on illustration. Her photography work inspired her love of black and white studies and subjects. She uses on-site sketches and photographs as references for her work. She begins by laying out the general composition of a piece in pencil. Once a composition is in place, she goes over the pencil outline in ink to create a contour drawing of the scene. 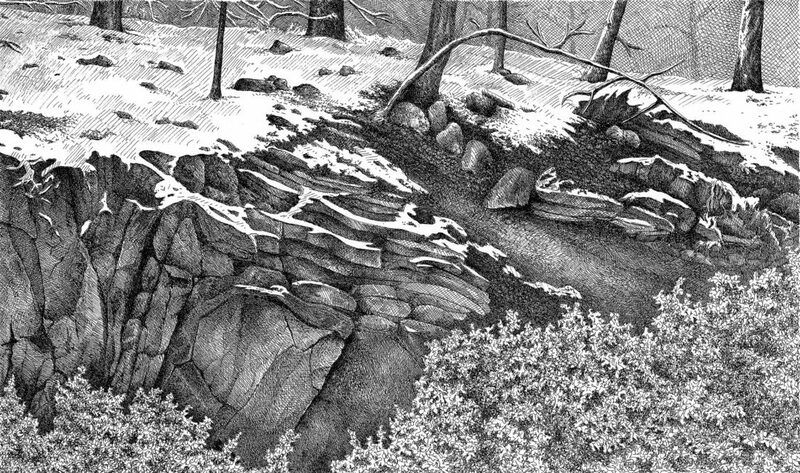 Detail is developed through a combination of cross hatching, contour lines, parallel lines, stippling and scrumbling techniques which create a rich blend of values and textures. 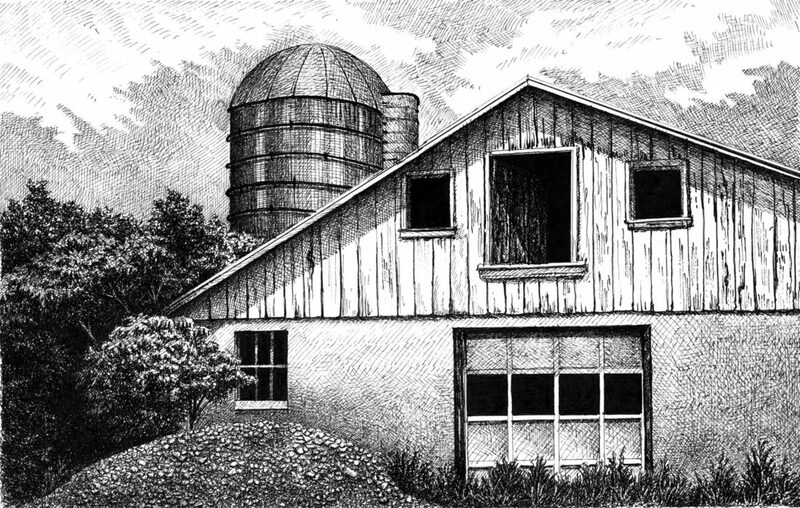 While creation inspires most of her work, she also draws old barns and mill buildings that were once so central to life in New England. 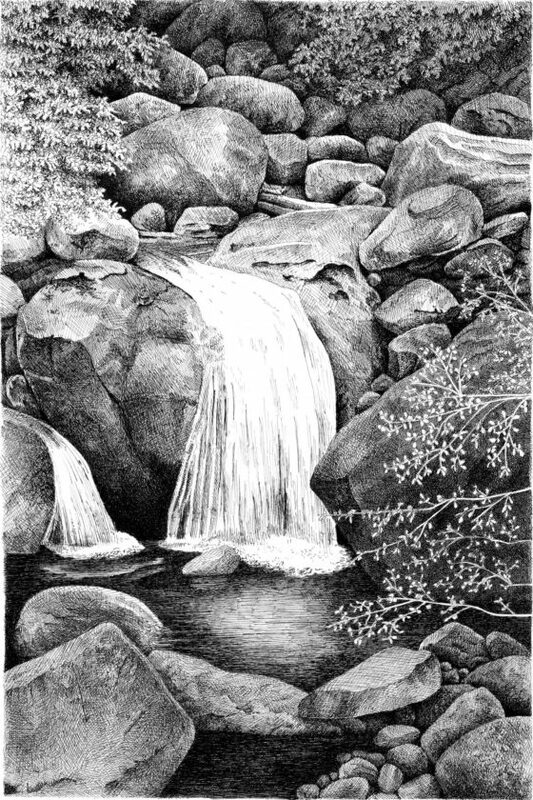 Searle is a juried artist and is a member of the Nashua Area Artists Association. 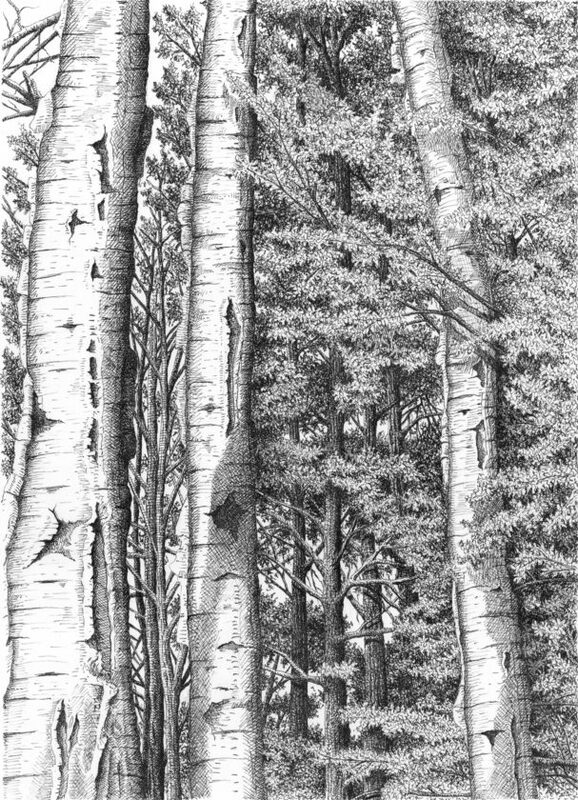 She has exhibited in group exhibitions at ArtHub Nashua, Beaver Brook in Hollis, the Whitty Gallery in Hollis, the Brush Gallery in Lowell, Massachusetts, the ALL Gallery in Lowell, Massachusetts, Angles and Art Gallery in Haverhill, Massachusetts, Uforge Gallery, Boston and The Fitchburg Art Museum, Fitchburg, Massachusetts. For more information on fractals and the artist, visit www.inkhatchings.com. The NAAA is a nonprofit organization whose gallery, the ArtHub, is located at 30 Temple St. in Nashua. It is open on Wednesday, Thursday and Friday from 11 a.m. to 3 p.m. and Saturday from 10 a.m. to 2 p.m.